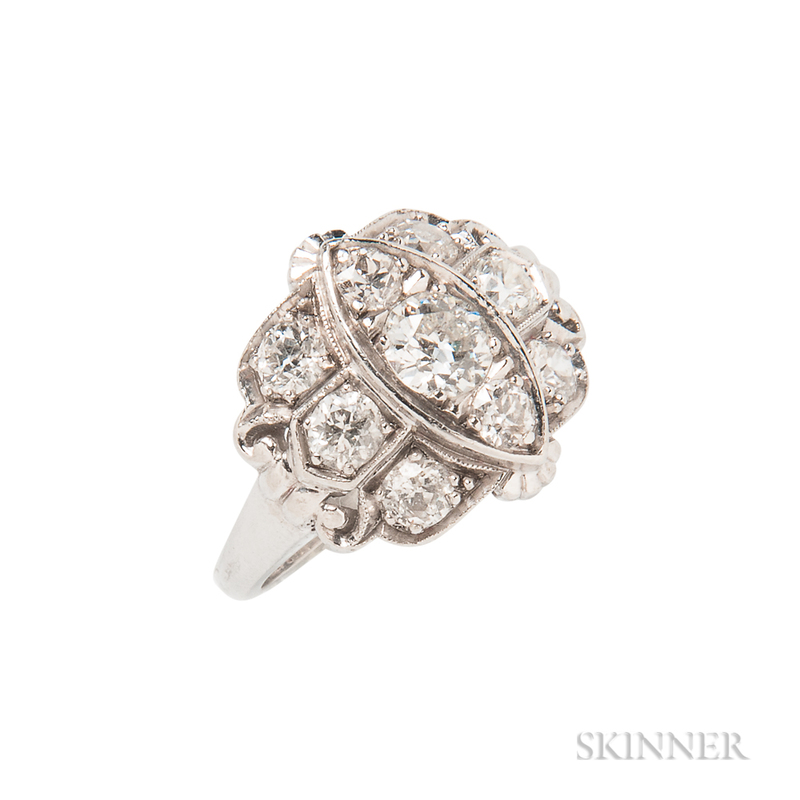 Art Deco Platinum and Diamond Ring, bead-set with nine old European-cut diamonds, approx. total wt. 1.20 cts., size 6.